Logona Herbal Hair Colour gives you healthy, shiny and voluminous natural colour thanks to is gentle colouring process and its blend of strengthening essential oils. Sahara Herbal Hair Colour will produce a reddish golden shade when used on light blonde to medium blonde hair. Unlike harsh chemical hair dyes, Logona herbal hair colours do not lift the natural pigment from the hair and leave it dry and brittle. Instead, they smooth the cuticle of the hair and leave it soft and shiny. 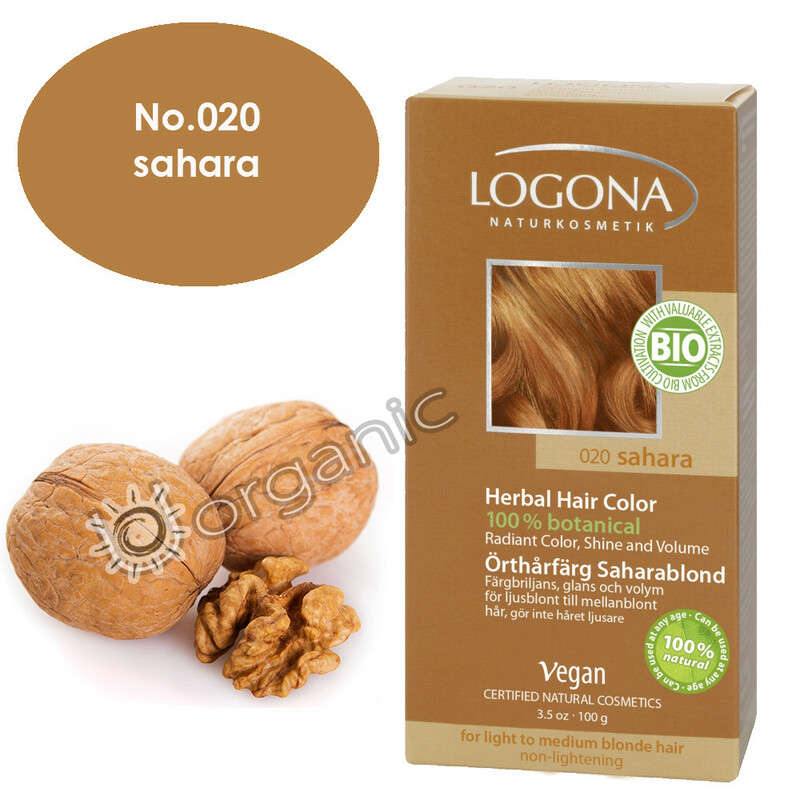 Logona Herbal Hair Colours contain only 100% natural finely ground botanical colourants including henna, beetroot and walnut shells. They also contain ingredients which protect and strengthen the hair such as organic wheat protein and jojoba oil to improve hair structure and make it more manageable.